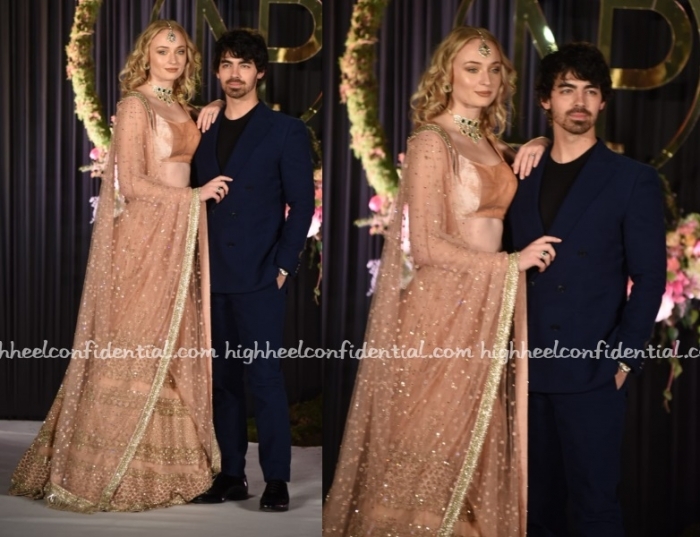 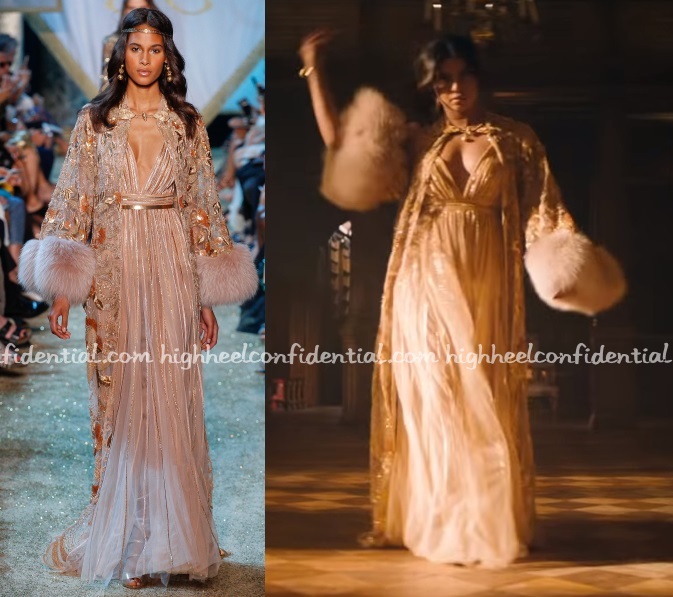 At Priyanka and Nick’s wedding reception today in Delhi, Sophie (who is engaged to Nick’s brother Joe) was seen wearing a peach Sabyasachi lehenga. 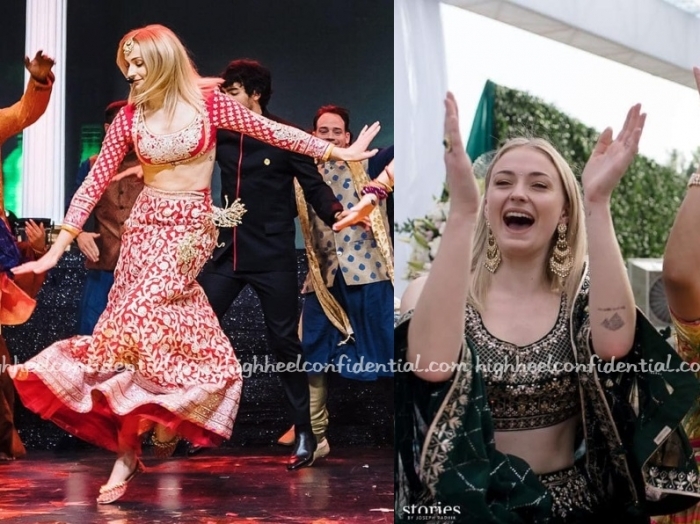 The Game of Thrones actor also was seen wearing lehengas at the sangeet in an Abu Jani Sandeep Khosla red one) and the mehendi in an Anita Dongre. I wish we had more pics of the sangeet and mehendi. 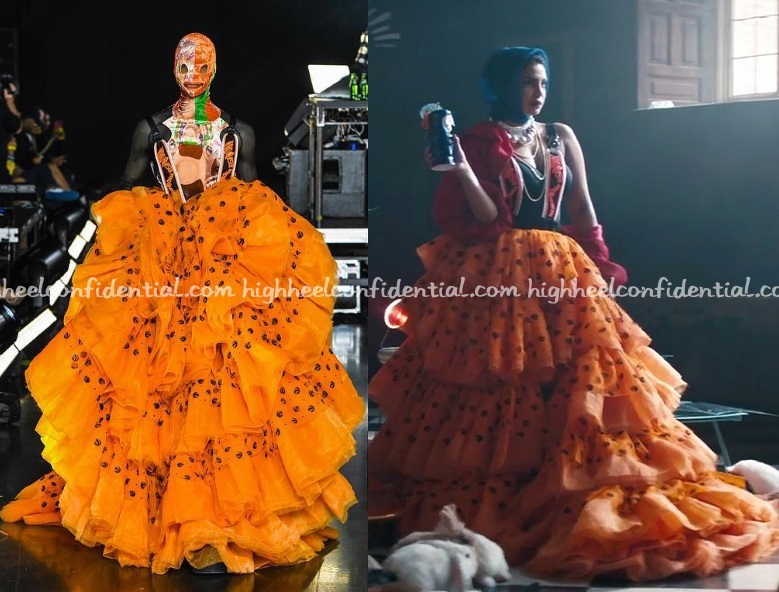 I liked the red and green more on her.